Zsuzsi Hussla is a mother, dancer, author and a leader in the Red Tent Movement. She facilitates women’s circles, workshops, and dance classes. After birthing her daughter, Zsuzsi was inspired to support women through this important initiation by facilitating Blessingways- a ceremony to welcome a new mother. Zsuzsi offers Blessingways, prenatal dance, and postpartum emotional support, as well as Infant potty training through Birthdancing Doula Services. She is the author of the book; Unraveling Her, Release Yourself From PMS & Menstrual Madness and Fall in Love with Your Feminine Rhythms. 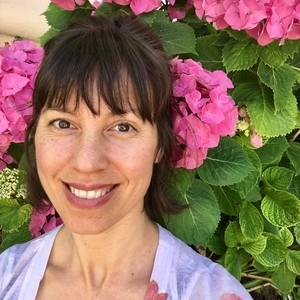 Having suffered from reproductive health issues, Zsuzsi learned all she could about women's health, leading her on a spiritual journey to unravel her feminine experience, which supports her to teach other women what she learned. Serving Reno, Nevada, and surrounding areas.